How to watch The Wolf of Wall Street (2013) on Netflix Argentina! Yes, The Wolf of Wall Street is now available on Argentine Netflix. It arrived for online streaming on October 7, 2017. 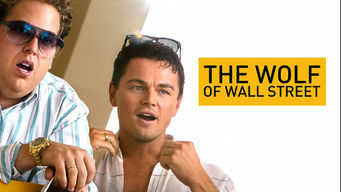 We'll keep checking Netflix Argentina for The Wolf of Wall Street, and this page will be updated with any changes. Martin Scorsese's high-rolling Wall Street drama is based on the memoirs of stockbroker Jordan Belfort, whose giddy career ended in federal prison. Make millions. Take enough mind-warping drugs to kill a horse. Do what you gotta do ... but do it in a pinstripe suit.